This live-to-tape interview broadcast from Boquillas, Coahuila, Mexico looks at the challenges faced by outsiders who say they are here—funded by tax money of the US, Canada & Mexico—to improve life in the village. In April, we reported on a formal border crossing re-opening in West Texas. For years, thousands of tourists flocked to the tiny village of Boquillas Mexico, propping up their local economy. Then, Sept. 11, 2001 happened. The border was unmanned, and in the name of national security it was sealed. The closed border was a crippling blow to Boquillas’ economy. But the re-opening is bringing the villagers hope. Reporter Lorne Matalon, who has been following the story for Fronteras Desk, once again returned to Boquillas. He brought along Ernesto Hernandez, the representative for Solimar International who was featured in one of his stories. 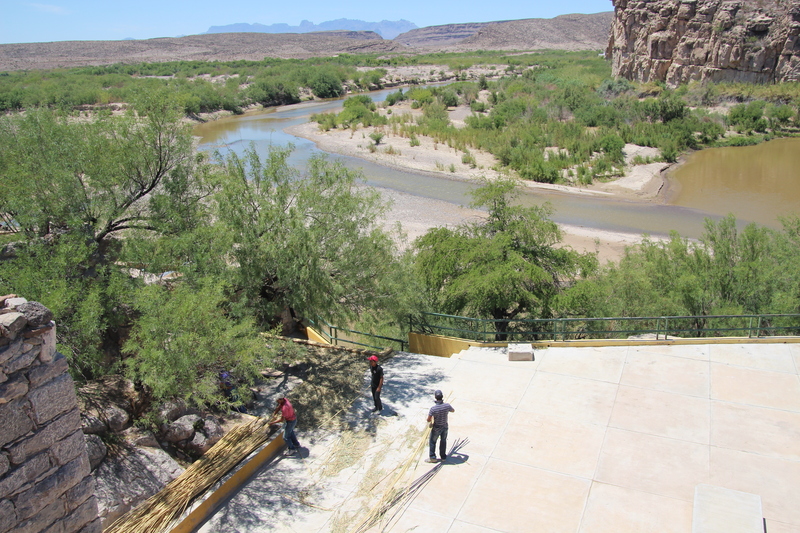 Solimar International was awarded a $100,000 contract last year to help Boquillas, Mexico prepare for the border reopening. They have since drafted a business plan for a community-owned co-op to offer guides for backcountry trips. Hernandez discusses the challenge faced by outsiders who are trying to establish a community-owned tourism cooperative.